Woke up to an overcast sky as I said goodbye to Oak Island at the great Russell’s diner. Loved Larry’s jokes, Heather’s service and my conversation with Cyndi. Then as soon as I left the restaurant, the rain started. That was the trend for the day: rain – stop at a gas station, empty porch, VW dealership (big shout out to Eastern VW in Myrtle Beach for hosting me!) – dry out – get on the bike – rain – start all over again. The last time I did this exercise I did not make it to a shelter in time as the sky opened up and poured on me. Apparently there was enough water in my pocket to mess with my phone… so… NO PHONE. I have set up to get it replaced on Tuesday in Tuscaloosa AL when I go by there. I finally made it to Bailey Moon’s beautiful 1700s house. They are the sweetest, most wonderful family. They are hosting me for the weekend. 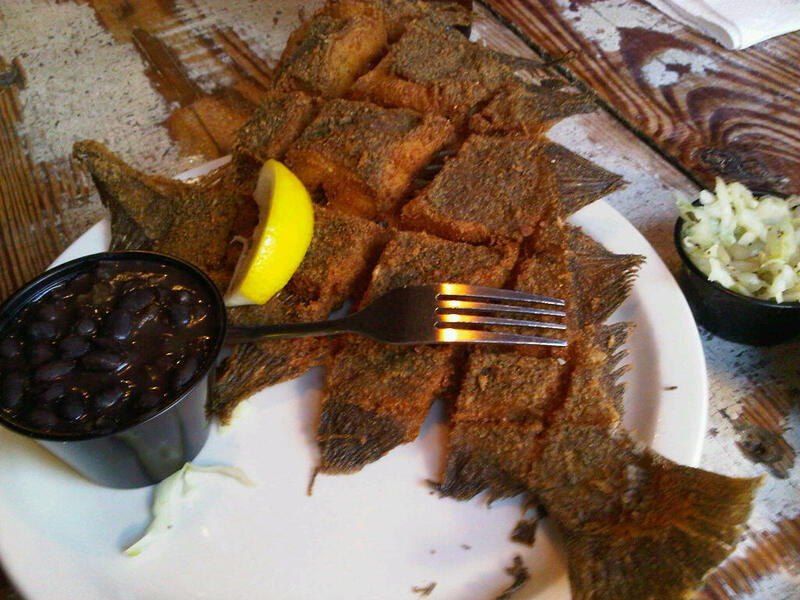 We had a great dinner of fried flounder at Big Tuna, a great breakfast, lunch, etc. etc. But even better is the conversation, the bonding, the company. Thanks Moon family!! Georgetown SC is the third oldest city in South Carolina (after Charleston and Beaufort) and it is a typical Southern, charming town, with small cafes, tree lined avenues, old houses, and great people. Since I will not be able to post tomorrow or monday. Tomorrow I will leave Georgetown after mass and go to Atlanta Georgia, staying at my old friend’s Quill Healey’s. Monday I will visit Emory U and tuesday I should be in Tuscaloosa Alabama, where I will visit University of Alabama and hopefully pick up my new phone. Georgetown SC to Atlanta. Phone almost kaputt.